Our chips are healthy and delicious. You can eat them by the handful, use them as a bacon replacement, or pack them in kids' lunchboxes for the ideal snack. 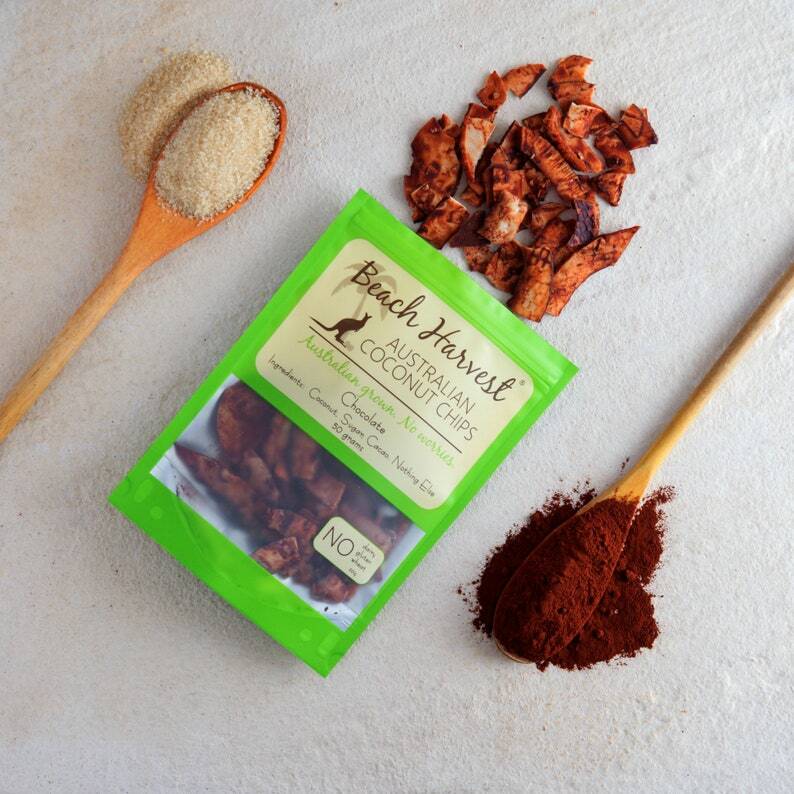 Our flavours range from savoury to sweet, and each chip is crunchy and full of the beneficial coconut oil. Plain - Coconut. Nothing else! Ideal for Paleo, Keto & low sugar diets. Vanilla - Coconut, Sugar, Vanilla Essence. 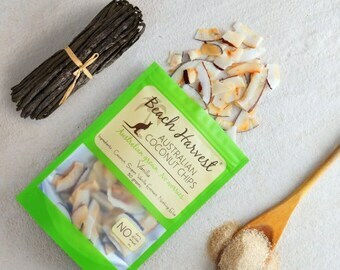 Intensely warm and satisfying, this vanilla is grown on a local North Queensland organic vanilla farm. Award-winning & 100% Australian.